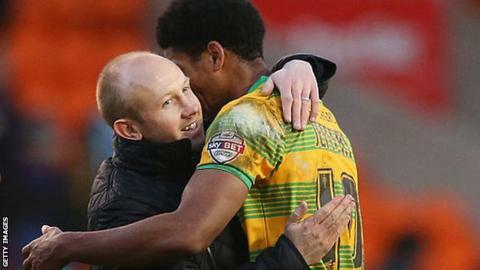 Yeovil Town manager Darren Way has signed a new three-year contract with the League Two club. The 36-year-old was appointed on 31 December after six games as interim boss, when the Glovers were the Football League's bottom club. He took over following the departure of former manager Paul Sturrock. Way's side have lost just three of their 16 league games since and have climbed to 19th in the table, 14 points clear of the relegation zone. Way, whose previous contract had been due to expire this summer, was part of the Yeovil team that reached the Football League in 2003. His career, which included 273 appearances for Yeovil, was ended after a car crash in February 2010 and he subsequently joined the Somerset club's coaching team. "We have found an extraordinary leader and manager in Darren, who has the full backing of everyone at Huish Park, not only to build a squad, but a club that will achieve and sustain League One status within the next five seasons," chairman John Fry the club website. Way added: "I feel very proud and honoured to have signed a new contract. "I have a vision for the club where I can nurture the future talent; this is a fantastic football club to build a future for and I will take 100% responsibility in making sure I do that."